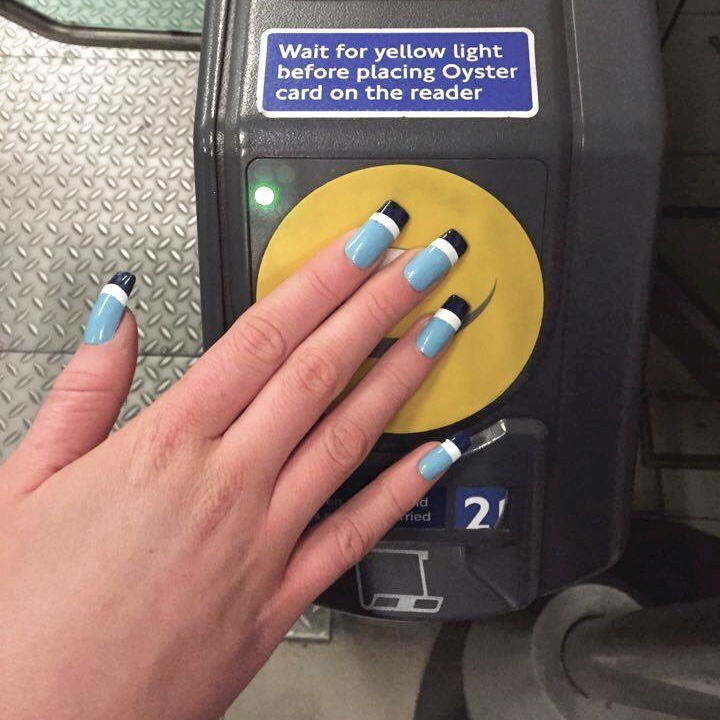 wah qt: lucie davis and her oyster card nails! It’s no secret that we love everything beauty tech at WAH, so when we found out that a future #GIRLBOSS had created nails that act as your Oyster card, allowing you to literally touch in and out on the go, we just had to find out more. Wah qt Lucie Davis has just finished her BA in jewellery design at Central Saint Martins. On her way home, she joins the hustle and bustle of London rush hour, joining the queue of commuters fumbling around for their Oyster cards and heading for the tube. But Lucie doesn’t reach into her bag or get flustered searching for her purse, she steps ahead, taps her acrylic nails onto the card reader and waltzes through. For her graduate project, this wah babe has created Oyster card nails, challenging convention with an ingenious piece of wearable tech. Lucie looked to innovate the everyday commute and encourage us to find wonder in even our most routine activities. This wah babe quite literally has the world at her fingertips, as beauty and tech continue to merge and innovate our everyday interactions. We can’t wait to see how this project develops and we’ll be first in line for our metro manis! Lucie Davis is fashioning her own future and it looks super bright for this wah qt. After all, the world is her oyster. Check out Lucie's instagram here!